Hello, Gorgeous! : Zappos isn't just for Zappatos! 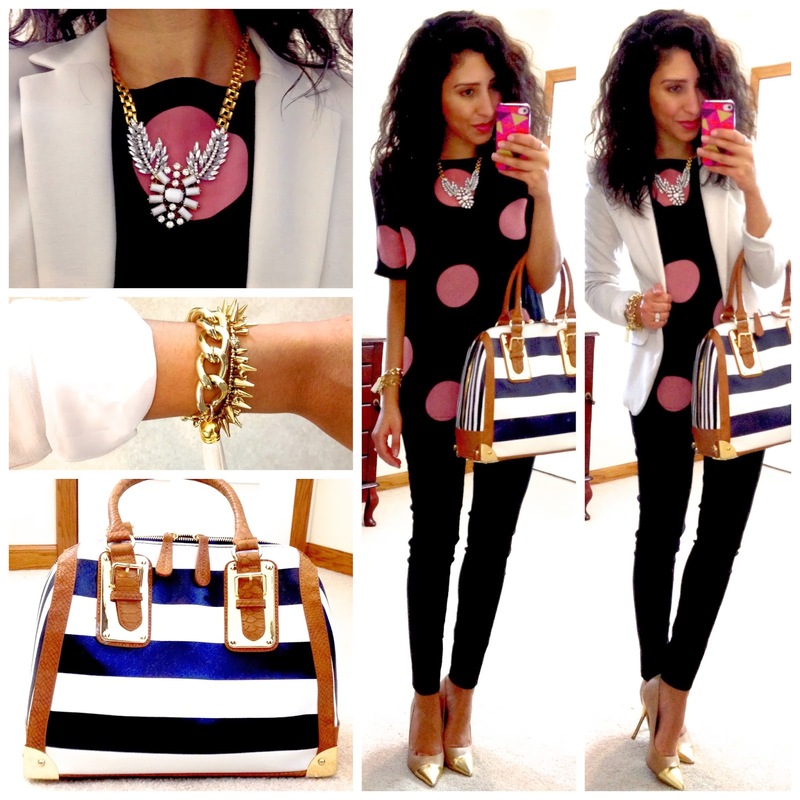 Love that polka dot top and the white blazer! You look so cute! I'm so glad you have fallen in love with Zappos.com. I love that website....and umm...OMG with that Aldo striped purse! I may just go and buy it right now....it's gorgeous! I'm with Lauren... that BAG! So cute. 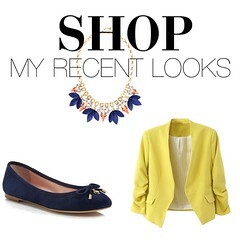 I am in love with these looks! I need to take another look at Zappos.com. Thank you for your wardrobe inspirations! I didn't know Zappos has clothes! Love that bag SO much!! That polka dot top is so cute! Love the bigger dots as opposed to a bunch of small ones! 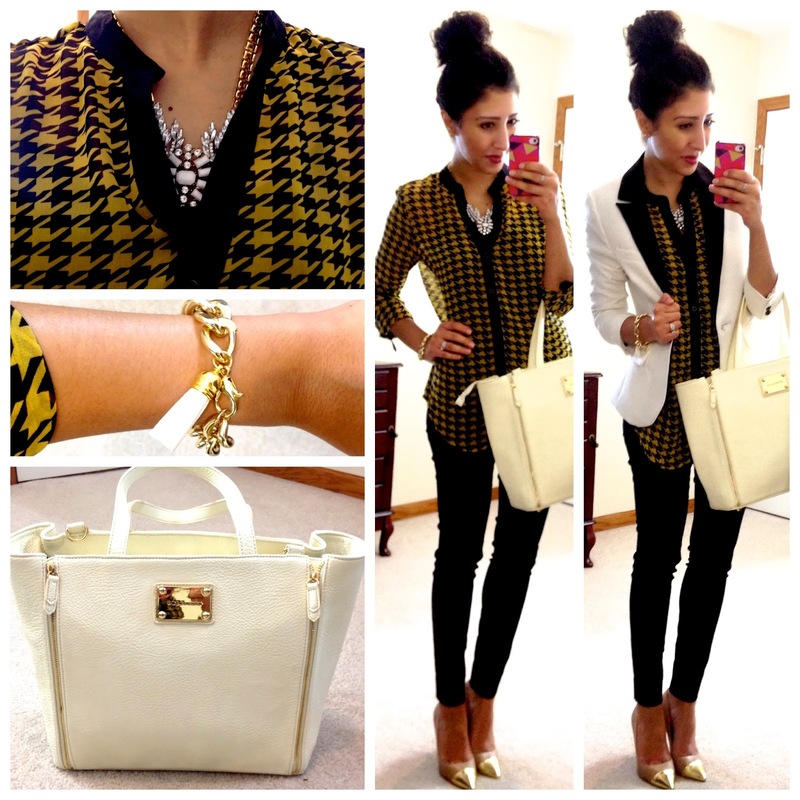 That black and white blazer is super sleek !! I treated myself to a little Zappos shopping spree a couple of weeks ago and one of my purchases was that exact same Aldo bag. I hope you enjoy it as much as I have. I get lots of compliments every time I carry it. Amo seus looks! Todos lindos e inspiradores. Parabéns.